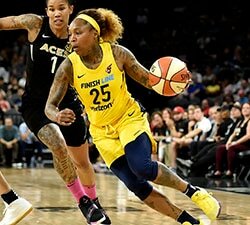 NEW YORK, Oct. 17, 2017 – The WNBA and NBA Board of Governors have unanimously approved the relocation of the San Antonio Stars to Las Vegas, WNBA President Lisa Borders announced today. MGM Resorts International will own and operate the team, which will begin play in Las Vegas in the 2018 season. The team’s home arena will be the Mandalay Bay Events Center, one of the city’s premier entertainment venues, having hosted major concert and sports events since opening in 1999. A leading entertainment and hospitality company, MGM Resorts International is renowned for its resorts and entertainment venues around the globe. The company is based in Las Vegas, which sees more than 43 million visitors from around the world annually. MGM Resorts’ brands include the iconic Bellagio, Mandalay Bay and MGM Grand, and the company has a storied history of hosting many of the city’s biggest entertainment and sporting events. In addition, MGM Resorts International has named Bill Laimbeer as the team’s President of Basketball Operations and Head Coach. 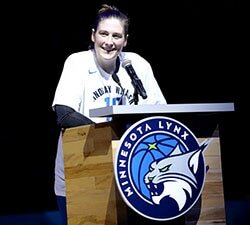 A two-time WNBA Coach of the Year and three-time WNBA champion, Laimbeer played 14 NBA seasons and won back-to-back titles with the Detroit Pistons in 1989 and 1990. The four-time NBA All-Star finished his career with 13,790 points and 10,400 rebounds, retiring in 1993 as one of 19 players in league history to eclipse 10,000 in both categories. Detroit retired his No. 40 jersey in 1995. 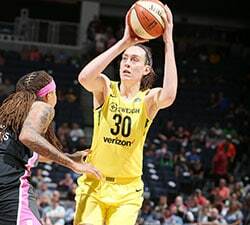 The Stars franchise was originally established for the WNBA’s inaugural season in Salt Lake City before moving to San Antonio prior to the 2003 season. Season ticket holder deposits will be accepted beginning in early November. 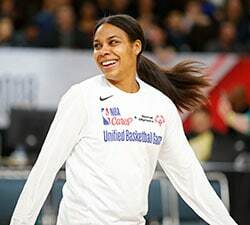 Follow @LasVegasWNBA and visit wnba.com/lasvegas for additional information. Mandalay Bay Events Center is a multi-purpose sports and entertainment complex located at Mandalay Bay Resort and Casino on the Las Vegas Strip. Since opening in 1999 it has played host to legendary concert performances, historic championship boxing matches and Ultimate Fighting Championship (UFC) events. It has also been the site of two Denver Nuggets vs. Los Angeles Clippers pre-season NBA games and the NCAA Basketball’s Vegas 16.